Congratulations! The Indiana Department of Education and the Office of School Accountability & Accreditation would like to congratulate North Daviess Jr./Sr. High School's 2016-17 A-F school performance! North Daviess Jr-Sr High School was rated as an "A" and has received the status of a Performance Qualified School for the 2018-19 school year. 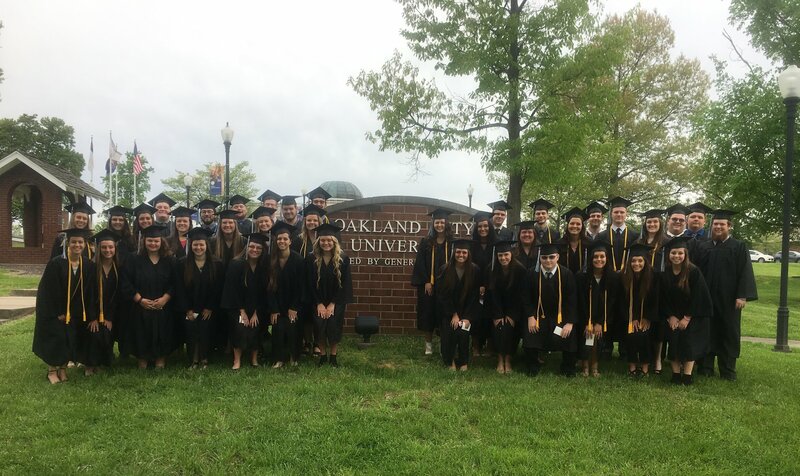 On Saturday, May 5, 2018, forty two graduating seniors from North Daviess High School participated in the 2018 commencement ceremony at Oakland City University (OCU). These students all received their Associate of Arts degree in University Studies from OCU. As part of the Early College Program, these students completed at least 60 hours of college coursework while in high school in order to earn the Associate’s degree upon high school graduation. These graduates have earned 2,639 college credits while attending North Daviess High School. The North Daviess Class of 2018 is the seventh class at North Daviess to be able to accomplish this achievement. This group represents 58% of their class. North Daviess High School students and staff have accepted the challenge of increasing the number of adults in our community to obtain an associate’s or bachelor’s degree. The most recent numbers report only 20% of adults age 25 and up in Daviess county have an associate’s degree and less than 10% have a bachelor’s degree. North Daviess partnered with Oakland City University to address this in Daviess County and to provide an opportunity for our students to get a jump start on post-secondary education utilizing the concepts and pedagogy being implemented in our 21st Century High School. The cost saving of an estimated $700,000.00 to our community has been astounding.